If you are an active duty service member, we want to thank you for your dedication to our country. Coronado is a big Navy town and we know the sacrifices that couples face when a spouse is in the military. We proudly offer a free upgrade from a King Room to a Junior Suite when you book at least 2 nights, Sunday through Thursday. Our junior suites allow plenty of room to spread out for relaxation and romance. They are located on the corners of the building and feature lots of light. (Plantation shutters provide privacy.) The wide sofa, easy chair, and coffee table are situated at one end of the large room. The 47" HD TV is wall mounted, and swivels so that it can be viewed from the bed or the sitting area. The bathroom is stocked with amenities and features an over sized shower plus a luxurious air bathtub (with dozens of tiny holes that jet air to create a soothing stream of bubbles.) Dry yourself with our sumptuous towels and then enjoy the butter-soft spa robes. Our luxurious Italian bed linens and pillow top beds are sure to spoil you. Fine print: Current active duty military ID required at check-in. Maximum occupancy of 2 people. Subject to availability. Cannot be combined with any other promotions, discounts, coupons or special rates. 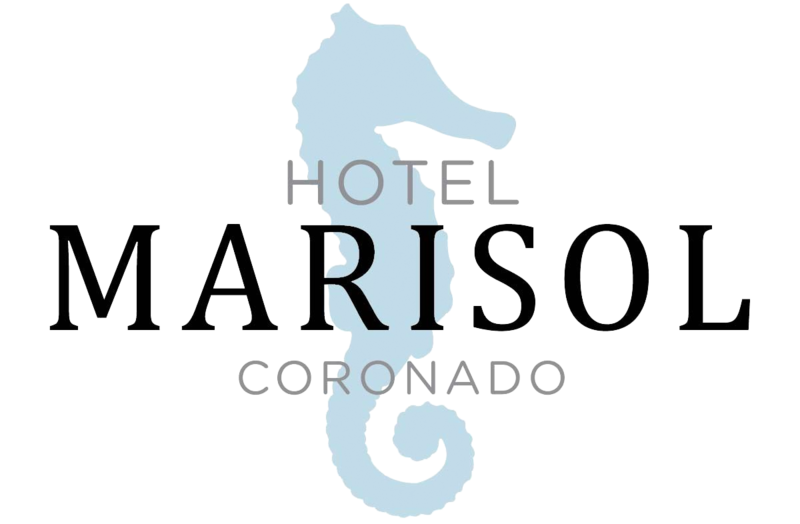 Must be reserved by calling Hotel Marisol Coronado directly at (619) 365-4677.